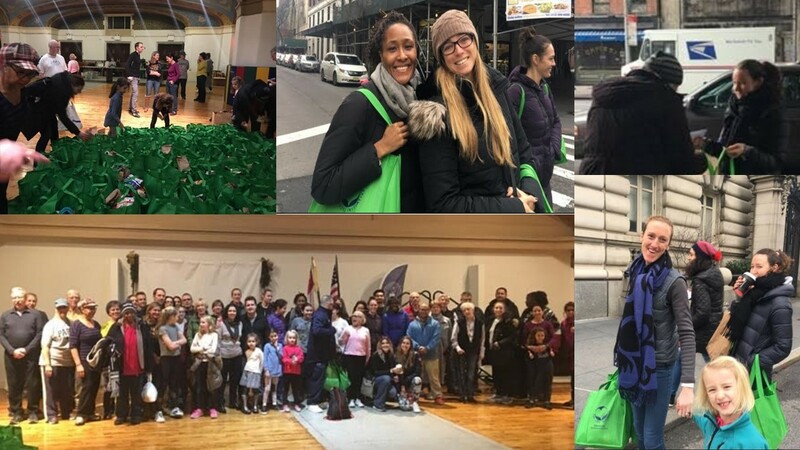 GIRL SCOUTS OUTREACH IN NYC! JoyJ’s Corporate Outreach program continues to make an impact to employees and the homeless! 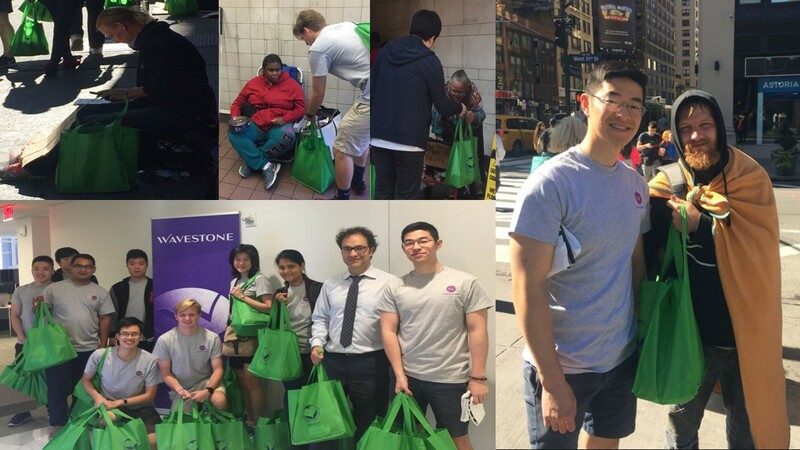 We’d like to thank Wavestone’s NYC 12 employees who distributed 40 bags on September 8 for sharing their time and joy to make the world a better place. Thank you to all involved! 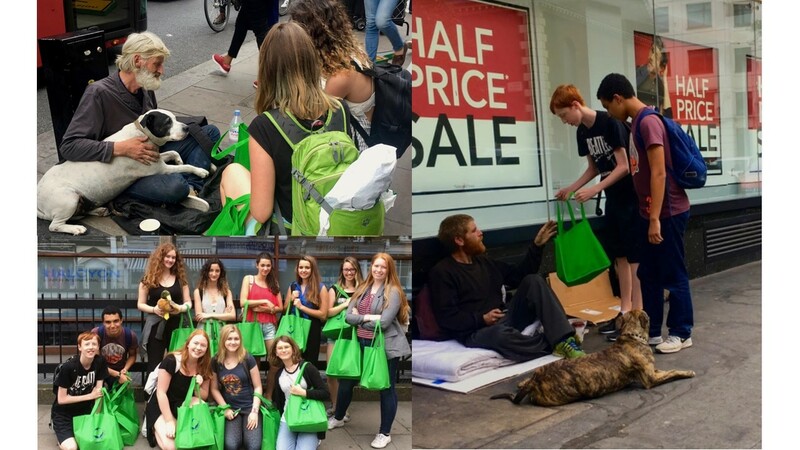 In the first half of 2017, JoyJ has had over 700 volunteers distribute over 2,000 bags across the globe in locations such as New York, Rome (Italy), the Philippines, Ecuador and London! Keep a look out for upcoming outreaches in New York, Houston, Doral, San Diego, Chile and Rome. If you are interested or know someone who is interested in hosting an outreach, please reach out to Michele Marotta! 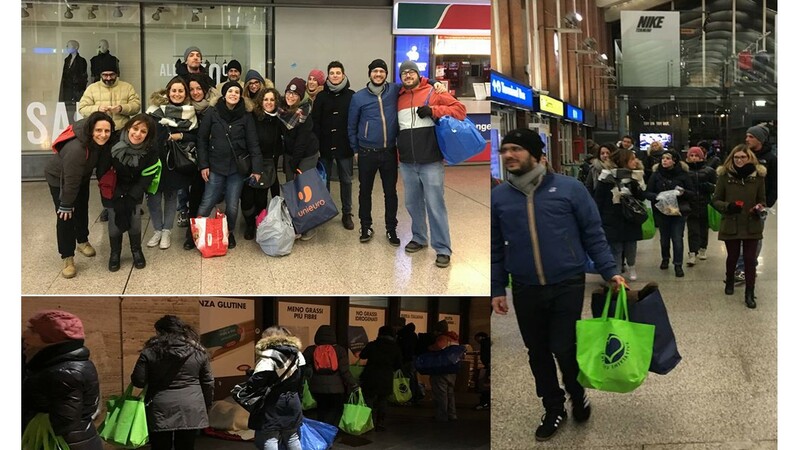 On January 18th, volunteers, many of who were meeting for the first time, gathered at Rome’s Stazione Termini to distribute 90 bags filled with winter essentials. In addition to these vital items, volunteers handed out much needed treats, which including hot chocolate, tea and cakes. The outreach couldn’t have come at a better time as the residents of Rome and their homeless population are experiencing unusually cold temperatures this winter. These items will bring some much needed warmth and comfort during this bleak winter. We would like to thank, in particular, the wonderful people at Centro Ricreativo CRIS whom helped organize and coordinate the event! We are thrilled to report that the outreach was such a success that an additional outreach has already been scheduled for February 9th! Thank you once again and we look forward to the continued success in aiding the homeless population of Rome!